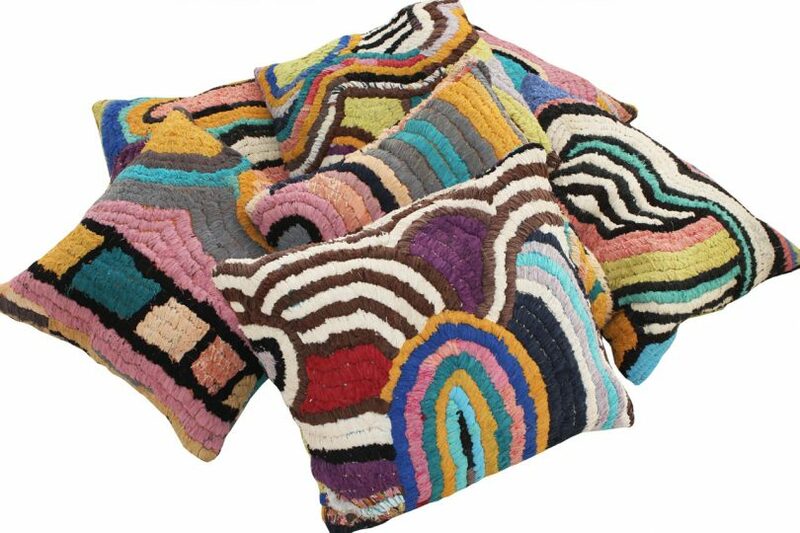 Floor pillows made of vintage Moroccan textile rugs that have bold patterns, playful colors, and rich textures. Fresh off her successful pop-up shop, A Kook Milieu, and a brilliant capsule collection, Kelly Behun has launched a collection of floor pillows made from vintage Moroccan textile rugs. Their bold patterns, playful colors, and rich textures translate perfectly to pillows, where you almost forget they were ever rugs at the start. Each pillow is one-of-a-kind and they’re available through 1stdibs.